Note: This above patch fixes the Save Loop. Info: Users have reported that it works fine on CycloDS B.3. 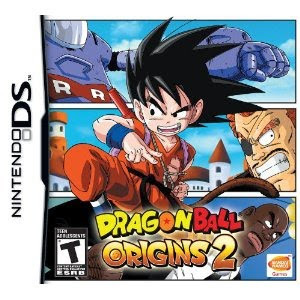 Note: Copy any of the above Dragon Ball: Origins 2 (Europe) rom download links and paste it into your browser to download. When trying on my AK2i with AKAIO 1.7 it loopes between chosing a savespot and trying to choose what to do with it. same here new game will not start??? I used the Dragon Ball Origins 2 (E) and copied the files to the (Jap) version =P So it's All in English. what is with german patch? and our language? You Fool!, Why didn't you post the link to it? And one question... its only works in english?? I want to know if it will work in spanish.. I supose that copyin the eur version in jap version it will works. OK some people have asked for the German version of the game so Here it is. Have you patched the French version? just try it before you offer a german/italian etc version! I would like the french patched rom too if it's possible. That is why i did not want to make any other patch then a English one. But I done the same thing i done with the English version i just copied over the german text text to the JAP version I did not translate it So if it's messed up then it's the Games fault. how can i do to patch into french, how did you do for the other languages? Can you tell me the manip to do? OK here is how to do it for anyone willing to try. Unpack both the EUR version of the game and the JAP version of the game. Next in the EUR version go into Data folder then into the msg folder Go into the folder of your language and copy all the Files from there to the JAP unpacked folder in the msg/jpn folder NOW in the EUR unpcked go to map folder and do the same thing. That's it Now just Re-pack it with DSlazy and done. NOTE that in the EUR version there are no FONT text for any other language other then English THUS why in my patch there is no GUR language for your save name, Again not my fault. ( i am sure a Fix or FW update will be out soon ) So there is no need for me to patch anymore, and i really don't want to patch them in other languages as i don't know if they are bad or not. Soon as i found a download i'll upload the game for you all. The new patched version 2 works on Acekard2i with AKAIO 1.7!! Many thanks. Hey i got the patched version but it still doesn't work on the Nocash Emulator, Any Suggestions?